So, why can't awards stay as they are? Essentially, awards are intended to highlight books for readers: so a reader can easily recognise a certain guarantee of quality, or at least a pick that they'll enjoy. They're also important to writers, of course, but this naturally follows from the reader role. So far, so good. However, the different awards tend to select different categories of novels, but many still claim to be going for only one criteria: 'the best' novels. And that, I think, is where awards let us down. There are too many simply aiming to acknowledge 'best' novels, even though other factors are at play in their decision (because no matter what is said, awards do seem to have 'categories'). It's simply, in my opinion, not transparent enough. There are also subjectivity issues, of course. If we do introduce criteria for specific awards, aren't writers just fulfilling a 'checklist'? Would it reduce diversity - make writers unwilling to attempt the new and interesting? After all, subgenres have their conventions, and just sticking to these would result in a very staid - and uninteresting - selection. However, not introducing these leaves us with the existing problems: unacknowledged factors do obviously exist in selection, and there are simply too many awards aiming simply to reward general merit, rather than specific areas which would be more helpful to readers. Saying 'this book is good' is less helpful than admitting 'books in this category have included..., so if you enjoy x'. And as soon as we do introduce these factors, they can be analysed and written towards. Deliberately award-targeted fiction (admittedly an unlikely scenario) isn't something I'd want to read! So, is there a solution? I think so. ..Though, of course, it can't be perfect. But since categorisation of awards already exists, but non-transparently, I don't think there is much of a choice: awards should recognise limited factors/criteria in selection. Not checklist-style: 'more than five strong female characters and an apothecary because we love apothecaries', but vaguer categories, helping readers to choose which awards fit their tastes. If readers know that a particular judging panel has tastes similar to their own, or aims to make picks they should be interested in, it will interest a reader far more than saying simply: this is 'the best' this year/month/millenium with hidden criteria. General awards should exist as well, but in an expanding genre, I think we need more diversity. Or maybe I'm just talking rubbish, heh. Well, what do you think? 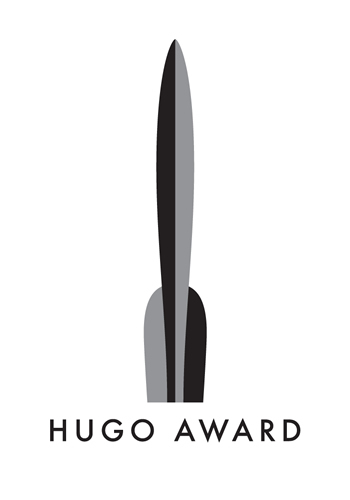 Do awards - such as the hugo or Nebula - affect your reading choices? Do you think they need to change, or is the existing procedure fine? Comment and tell me below! Our thinking for the Kitschies was almost the same - strong (but still a bit fuzzy) criteria and the suggestion that people stick around to see how their tastes overlap with the judges over the years. I thoroughly enjoyed the Tweetbate. 'Twas fun. It was indeed. Now all that's necessary is something odd and controversial, and we can have another arguscussion.